Love. Marriage. Baby Carriage. Life moves fast. However, first-time expectant parents are about to experience new shifts in speed. Grocery runs become a crawl. Dirty diapers are reason to sprint. While second (and third) time parents have more realistic expectations, the Vista keeps them all moving forward, no matter what life throws their way. 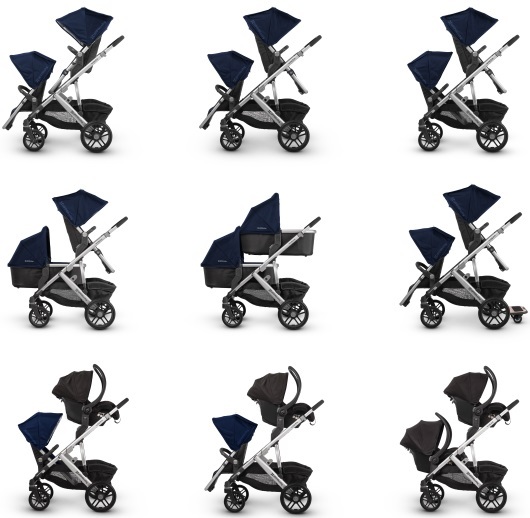 The Vista's intuitive design allows for multiple configurations, making transporting a second and third child a breeze. Life moves pretty fast. We say you've just got to roll with it. Leather handle features full grain cow hide. REACH certified. No chemicals used in tanning process. Hand stitched onto stroller (Note: due to the nature of the leather the handle will get softer and darker over time). Larger carrycot mattress pad for longer use - now 2.5" longer. Powder coating on all stroller frames to reduce scratching. Included bassinet is perfect for naps on the go. With just one hand you can detach the bassinet and carry your sleeping infant anywhere. Included toddler seat is designed to meet the growing size and curiosity of your child. Your toddler can ride forwards, backwards, completely upright, fully reclined and anywhere in between. 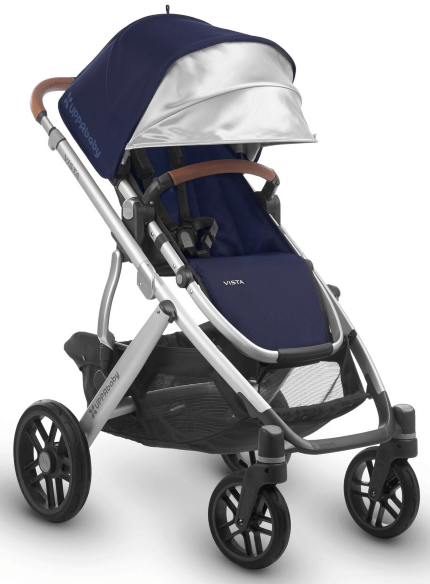 Pull out sunshade, on both bassinet and toddler seat, extends to shield your child from harmful UV rays, allowing you and baby to stay outside and safely enjoy the sunshine. 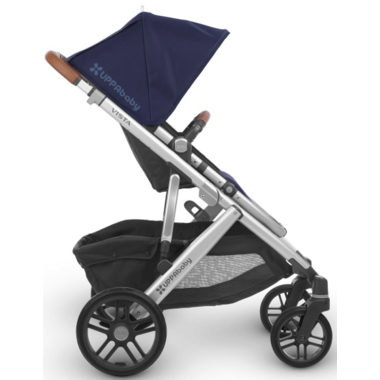 Adjustable handlebar makes it comfortable for drivers of varying heights to stroll with baby. 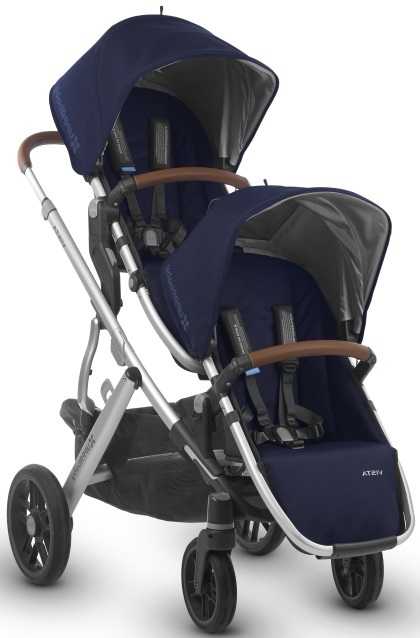 The MESA Infant Car Seat attaches directly to the VISTA delivering a Performance Travel System that is the ultimate in portability and safety. No need to sacrifice performance for convenience. 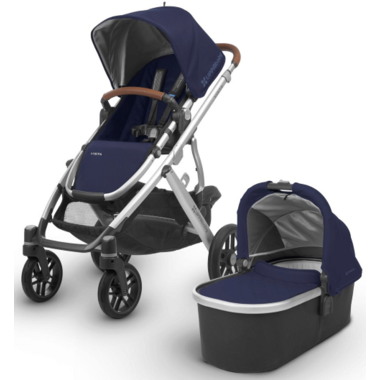 The VISTA is also compatible with select Chicco® and Maxi-Cosi® style infant car seats with their adapters. This will quickly become your favourite feature. The large opening means it’s easier to reach your diaper bag, toys and whatever else you pick up along the way. 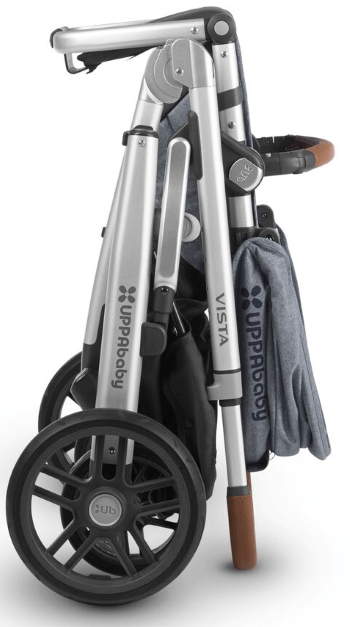 The VISTA one-step fold is super easy and intuitive and stands on its own. 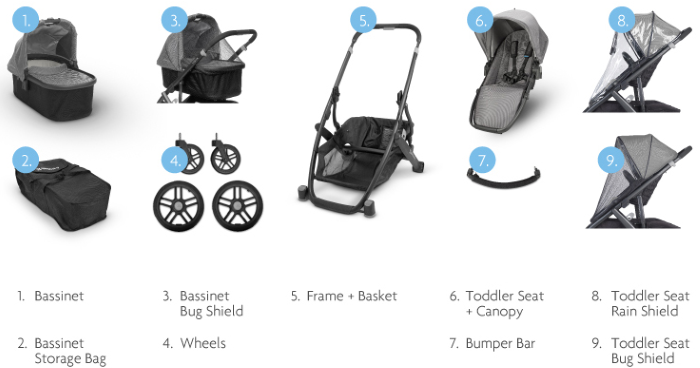 The stroller can be folded with or without the seat attached, saving time for other things like cleaning up spilt milk and fixing hair bows. Bassinet suitable from birth up to 20 lbs and 25″ long, or until infant can push up on hands and knees, whichever comes first. Toddler Seat suitable from 3 months to 50 lbs.